If you’re craving a fresh baked pizza but don’t want the hassle? Try the air fryer! 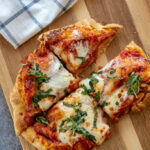 This Air Fryer Margherita Pizza rivals my favorite pizza place and is so easy and cooks in minutes! 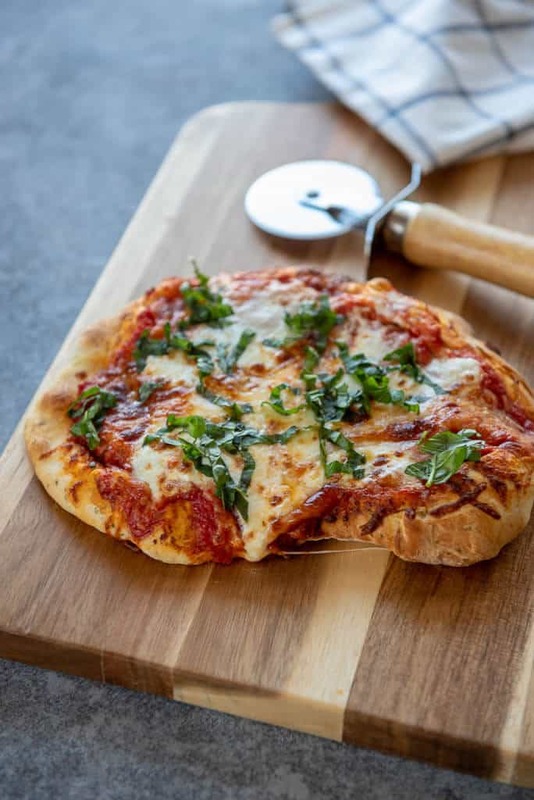 Remember the Cast Iron Margherita Pizza we made the other day? Well, it got me to thinking (or maybe just craving) more ways to get pizza on the table without the hassle! I just got a new air fryer because I wanted one with a larger capacity and I figured it was worth a try to see how a pizza would turn out. The good news is it worked perfectly! 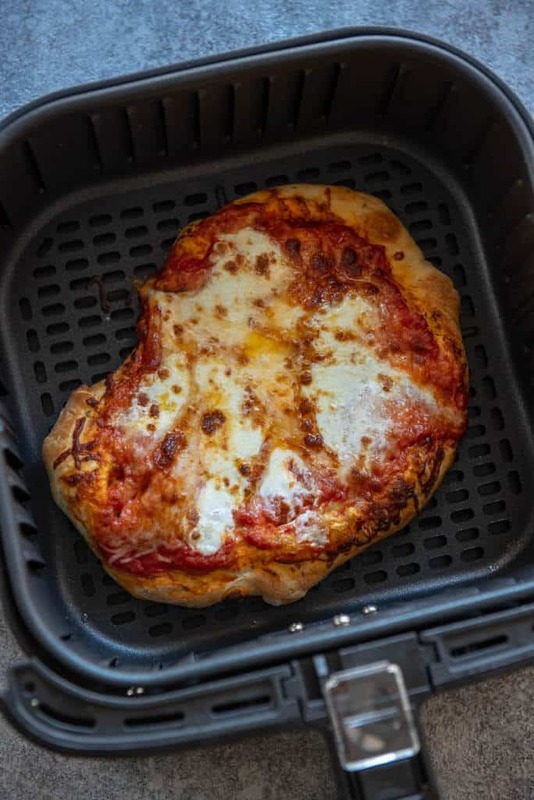 This Air Fryer Margherita Pizza is going to become a new regular at my house! Perfect for a one person lunch or make a couple to share for dinner! They are quick and easy so you can make as many as you want! 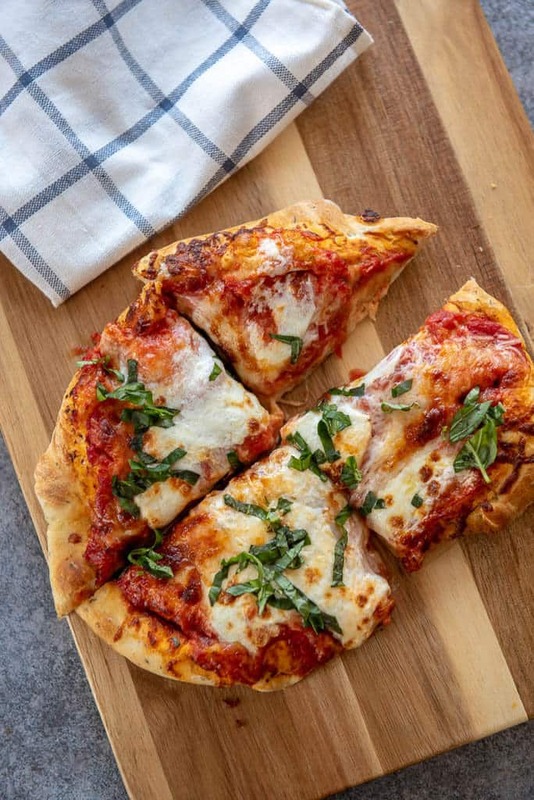 Of course you can always make your own crust, but I like to keep a few of the good quality frozen crusts that I get at the grocery store on hand (Trader Joe’s has good pizza crust too). Then with a few simple toppings you can cure your pizza craving in no time. How do you air fry pizza? I’m sure there are different methods, but I found it pretty simple to roll out my dough like normal and put it right into the air fryer with the toppings. This requires dough that’s not too super thin, maybe about 1/4 inch thick at least. 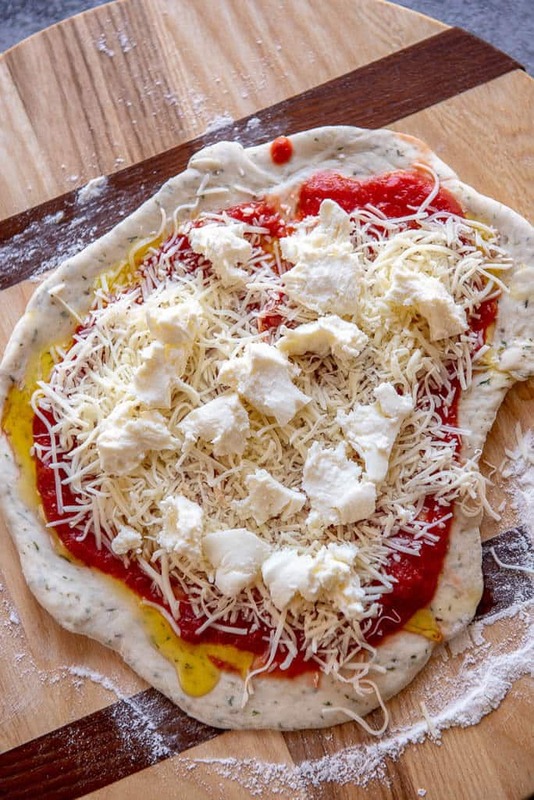 You also need to consider your toppings to ensure they will either cook quickly or are pre-cooked as to not overcook the crust or let anything get soggy. What’s on a margherita pizza? Nothing else to it! While I love crazy pizza combos from time to time, sometimes the simple things in life can be the best. If you're craving a fresh baked pizza but don't want the hassle? Try the air fryer! 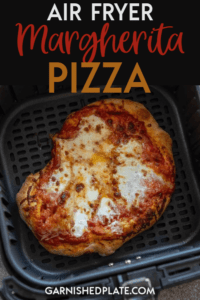 This Air Fryer Margherita Pizza rivals my favorite pizza place and is so easy and cooks in minutes!